With the Single Day, One Park Ticket, you can choose to visit either Fun Spot Orlando or Fun Spot Kissimmee. 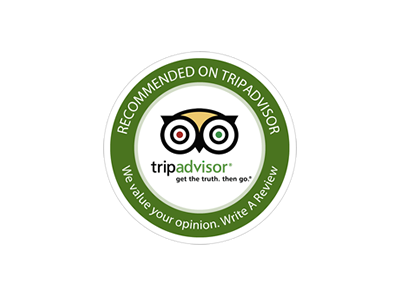 Tickets vouchers are open-dated and you can visit Fun Spot on a day that best suits your holiday itinerary. You, your family and friends can choose to experience everything from the unique multi-level Go-Kart tracks that will provide a one of a kind riding experience to Orlando’s only wooden roller coaster, and much more. The little ones also have a dedicated area, the Kid's Spot. Here the rides are smaller, gentler versions of the adult ones and geared for children ages 2-6 years old. Kids and adults alike will enjoy the inside arcade with 180 exciting games ranging from the Classics to State-of-the-Art. 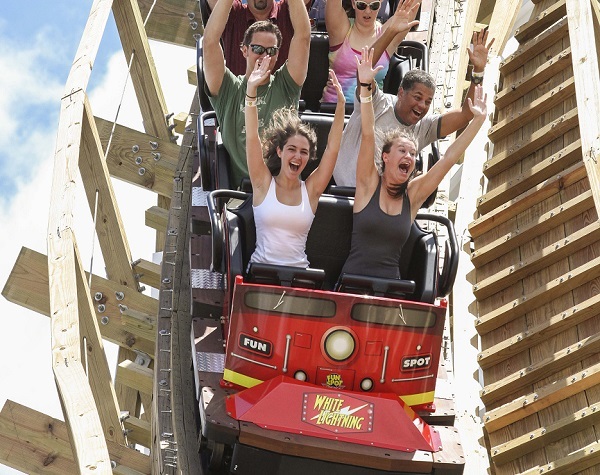 Here you will find Orlando's only wooden roller coaster, the White Lightning which treats riders to the old-school thrills of gravity-driven speed of up to 48mph and unexpected airtime. 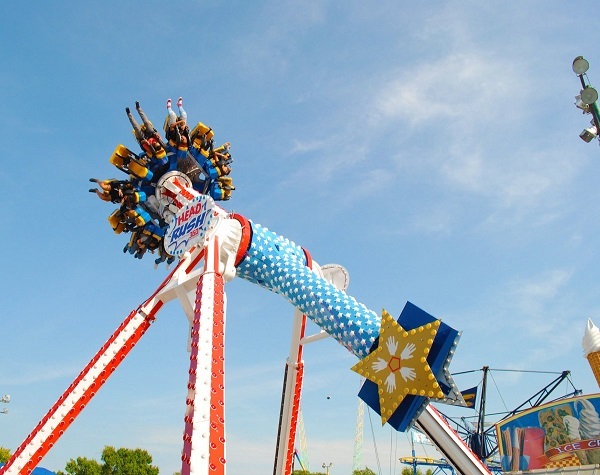 Thrill seekers will also enjoy the Freedom Flyer, North America's longest suspended steel roller coaster. Soar on the wings of this family friendly steel suspended inverted coaster with speeds of up to 34 mph. Whip through tight turns that spin you around and test your nerves with heavy G forces all while your feet dangle just above the crowds. 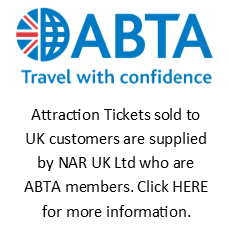 Other attractions include the Rip Curl and Space Invader, where giant arms swing you back and forth through 180 degrees. Kid's Spot is an area reserved for the little ones to enjoy rides designed specially for them including Kiddie Swings, Coasters, Tea Cups, fun slides and more. 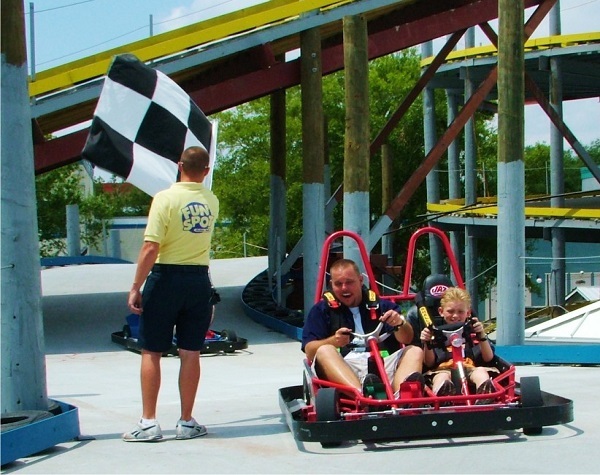 A highlight of the park are the unique multi-level go kart tracks with hairpin turns, steep hills and of course speed! With four tracks to choose from, there is a track for everyone! Unique to the Orlando Park, Gator Spot brings the excitement of live gators to the park. 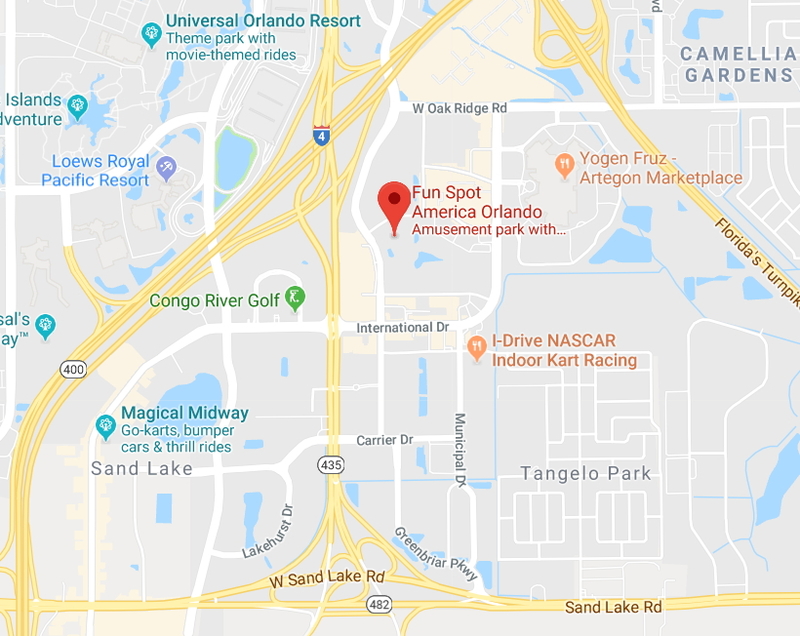 Fun Spot Orlando is located just off International Drive, right in the heart of Orlando. Take a spin on the Rockstar Coaster that produces heavy G forces as you go around sharp and tight corners. With up to 3 people to a seat, your whole cart will be screaming! Get lifted forwards and backwards in a suspended car on the Paratrooper, one of the main family fun rides at the park, then scream as you go up on the Screaming Eagle. You won't be sure when you are coming down again! On Hot Seat, giant arms swing you back and forth until all you can see is the sky and the ground rocketing past your face. Kid's Spot is an area reserved for the little ones to enjoy rides designed specially for them including Baron Planes where kids can fly in an iconic World War I fighter plane. There are kiddie bumper cars, fun slides, the Kiddie Coaster and the the castle-themed fun house Castlemania with obstacles to climb, tunnels, a ball pit and slide. 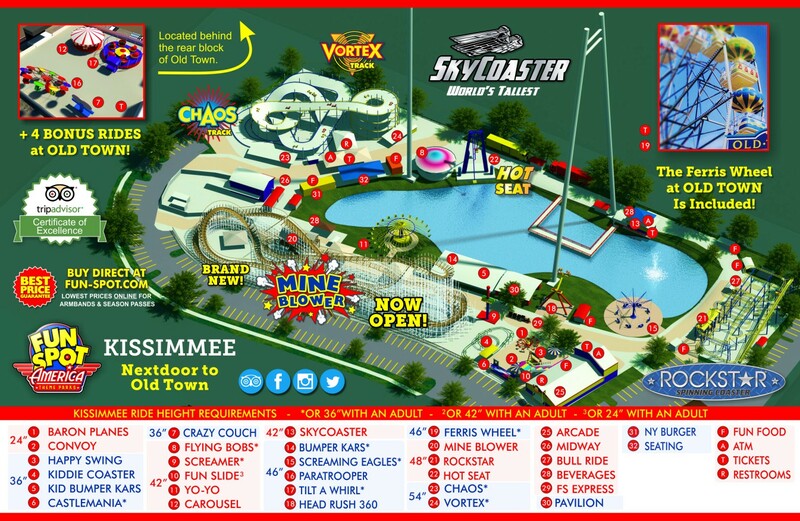 Fun Spot Kissimmee has a choice of multi-level go kart tracks including the 4-storey high Vortex complete with the steepest banking curve and the Chaos Track which sends you in different directions. Both these tracks have double-seat go-karts so even younger children can enjoy the action with an adult driver. 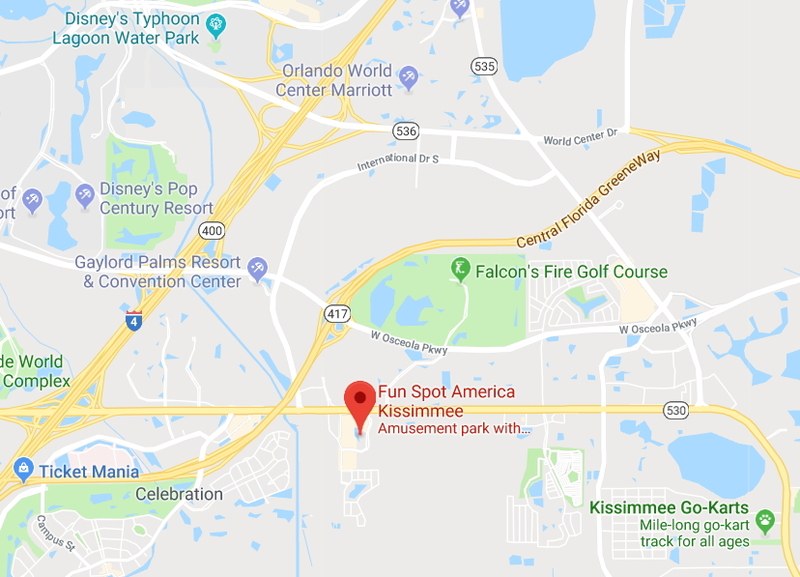 Fun Spot Kissimmee is situated only 5 Kilometers from the Maingate to Disney. 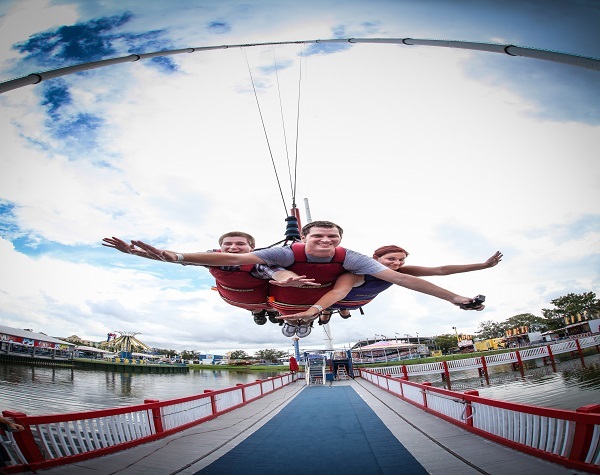 Both parks have their own SkyCoaster (additional cost of $20, payable locally), which combines the thrill of skydiving and hang gliding in one exhilarating ride. Arguably the most intimidating ride of them all, it is only for the very brave! 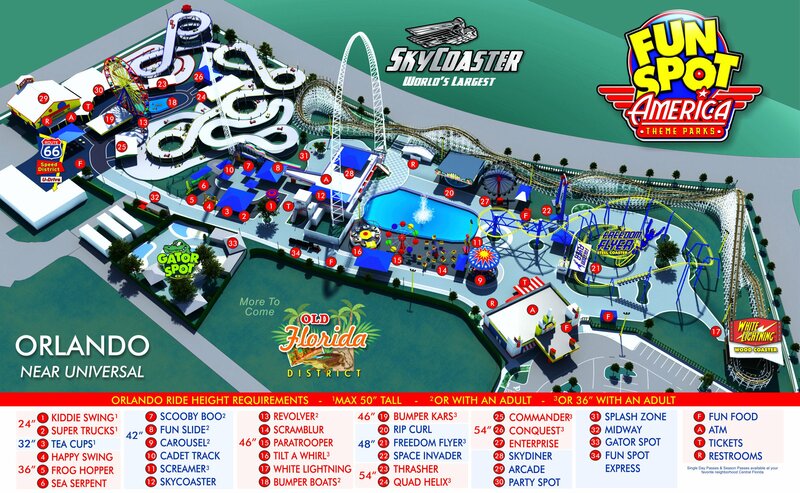 SkyCoaster flights, food, arcade games, and vendor attractions are not included in the Single DayOne Park Pass.